This piano was on the stage when I saw Johnny Boyd, formerly of the swing band Indigo Swing, performing at the Elks Lodge in San Francisco. 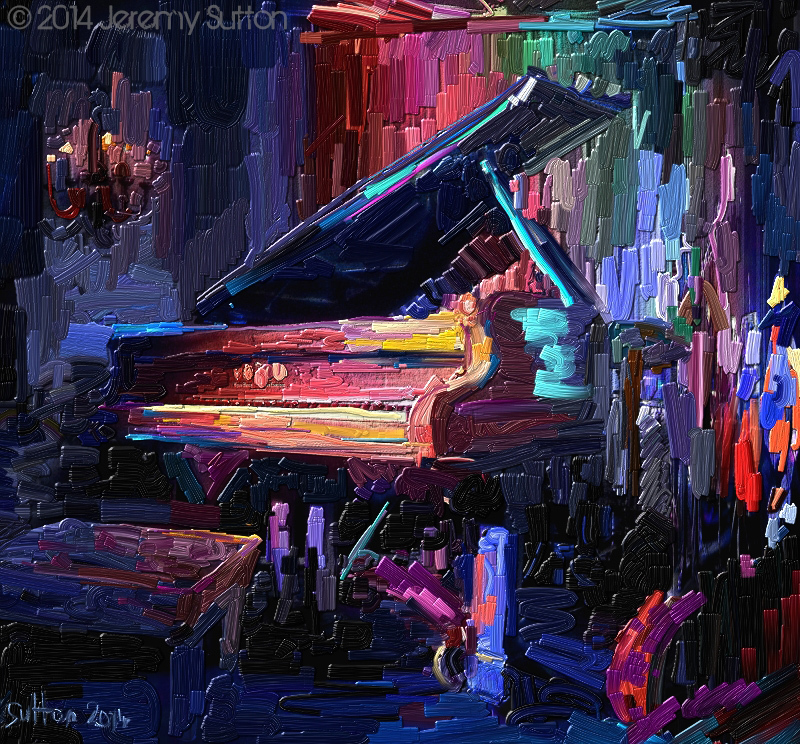 I was inspired by its quiet grandeur and based this painting on the piano sitting alone at the end of the show. Love how you did so much with one brush. ?